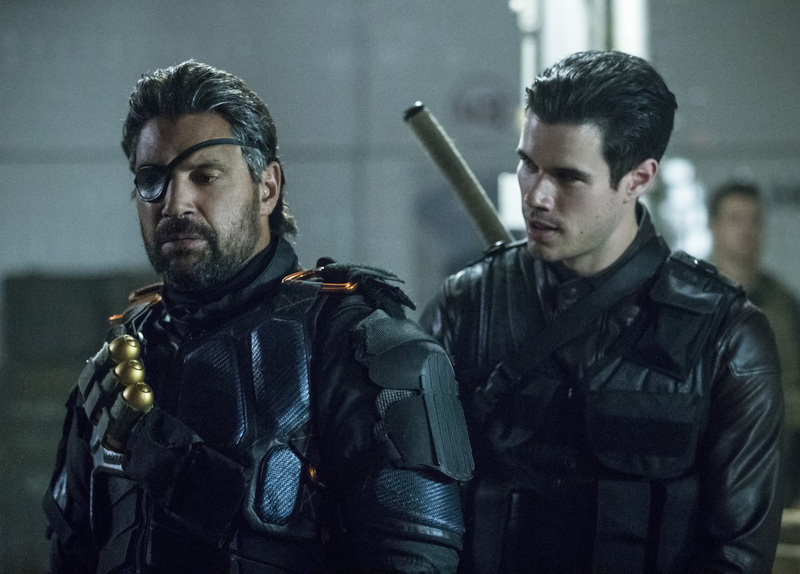 Episode 6×06 “Promises Kept” — As Slade (guest star Manu Bennett) continues to uncover clues about his son’s last few years, Oliver (Stephen Amell) makes a big decision. Meanwhile, the Green Arrow (David Ramsey) leads the team into battle against “The Dragon,” a villain who is stealing valuable tech in Star City. Antonio Negret directed the episode written by Oscar Balderrama & Rebecca Bellotto. Air Date: Thursday, November 16 (9:00-10:00 p.m. ET) on the CW. Oliver (Stephen Amell) celebrates Thanksgiving with his family but the happy moment is interrupted.